Burner flame quality is a good indicator of the efficiency of the GE oven. 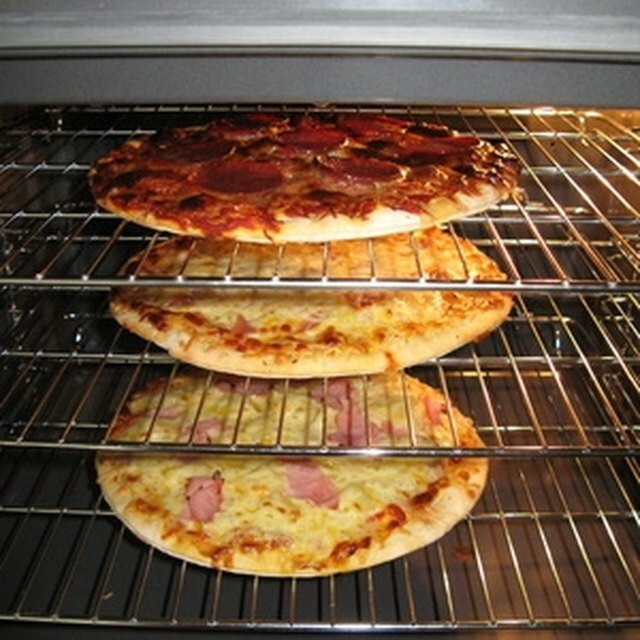 You can adjust the flame quality using shutters in the oven which alter the air intake. You can visually inspect the flame to determine the amount of adjustment, if any, you need to do. Natural gas and liquid petroleum gas (LPG,) also called propane, present different visual characteristics. So the criteria for adjustment of a GE oven propane flame will be different for a natural gas oven. Propane gas is delivered by truck and stored in a tank. Determine if your GE oven is fueled by propane or natural gas. If the gas is delivered by truck and is stored in a tank, the gas is propane. If the gas is delivered through a pipe from the street, the gas is natural gas. Remove the oven bottom. Remove the screws at the back, lift it, push it back a bit and pull it out with the finger slots. Take a look at the flame on the oven. If the flame has yellow tips on the outer cones, no further adjustment is necessary for propane. If the flame is anything else, try to adjust it. Adjust the flame using the broil and oven burner air adjustment shutters. The shutter for the top broiling burner is in the center of the rear wall of the oven. The shutter for the bottom burner is behind the warming drawer. Remove the drawer to access it. Loosen the Philips head screw, and rotate the screw towards the open or closed position. The flame should be an inch high and should not lift off the burner ports. The flame should have yellow tips. If the flame is all yellow despite adjustments, call for service. Why Does a Gas Stove Start Clicking?